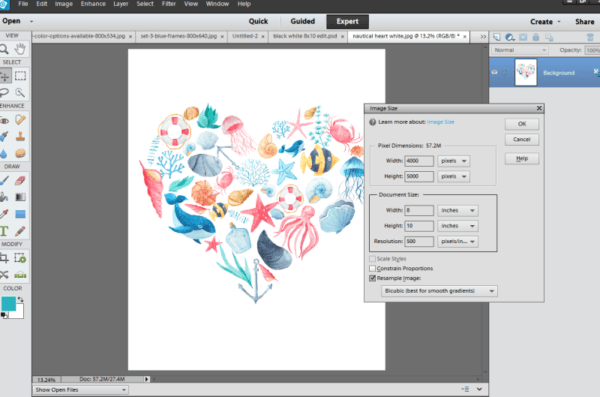 Everything you need to know about printing free printable art. Tips on resizing, printing and framing your free printables is included! One of the many wonders of the internet is all of the amazing free printables available to you. No matter your decor style or theme, whether you want something whimsical or inspiring, your free art is most likely just a few clicks away. 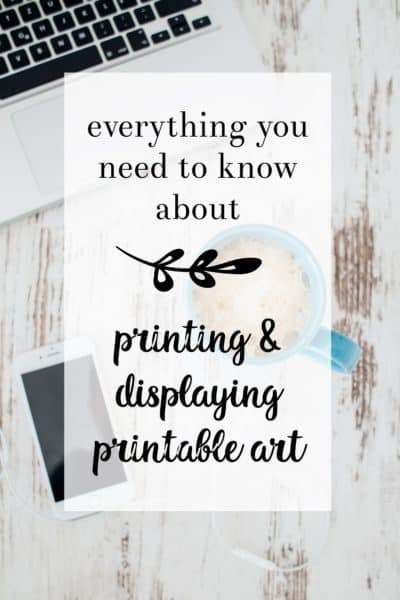 I share a lot of free printables on my blogs, and, in the past, have also sold my work via Etsy, and I’m pretty sure I’ve been asked every question possible on how to best print and hang printable art. While it may sound as easy as pressing the “print” button on your computer, there’s actually a lot that can go wrong, and a few things you can do to make sure everything goes right and you get the highest quality print possible. Saving and Resizing Printable Files. So you’ve purchased a printable (or found a free printable that you love), and are ready to print. First things first, save the file to your computer (you may even want a folder specifically for printables) and make sure you know what size the printable is meant to be printed in. Almost all of my printables are sized at 8×10, but 8.5×11 is another popular, readily available size. If you need to resize your printable, you can do so in your favorite editing program. For a lot of printables (especially free ones), the resolution may not be high enough to resize larger, only smaller. 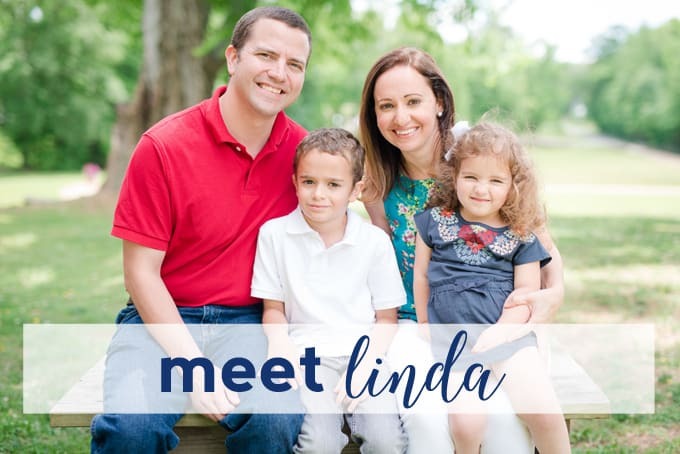 For example, you may be able to resize an 8.5×11 printable into 8×10, but probably won’t be able to size up to a 16×20. So, for example, in Photoshop Elements, if I want to resize this printable (you can find this nautical printable here, if you like it, too), open it up, and go to Image –> Resize –> Image Size. Simply change the width and height in the Document Size box, and hit ok. If you’re purchasing a printable, it never hurts to ask the seller to resize for you. They may do it for you, especially if you want to resize smaller. If you want to resize larger, they’ll probably charge an additional fee to do so. Printing Out Your Printables. I get asked this question more than any other, and my best advice is to send your printable to a professional printing service to get the best quality. Most printables, especially those with a large, colorful image or colored background, use a lot of ink, so it may even save you money to get them professionally printed. Glossy photo paper works great, and is readily available. You can easily upload and print at places like Walgreens and CVS, or places like Snapfish that print and deliver to you. Printing Printables with Gold Foil. Gold foil is very on-trend; many printables are available with foil-like features and text nowadays (like the free nursery printables below). I often get asked how to best print printables so that the foil is real foil, and the easy answer is….it can’t be done. When you print a printable with the gold foil effect, the finished print will have the color of the foil, but it will not be actual foil. If you have your heart set on true gold foil, there are plenty of Etsy sellers that sell prints with that feature. Framing Your Printables. Lastly, I often get asked about what frames I use for the art around my home–this set of 7 solid wood frames is my go-to; you can see them in action in this gallery wall post! Basically, I love frames that are white, flat, and matted. Simple, in my opinion, is best, and really shows off your art to it’s best advantage. This printable art post on burlap+blue is a fan favorite! 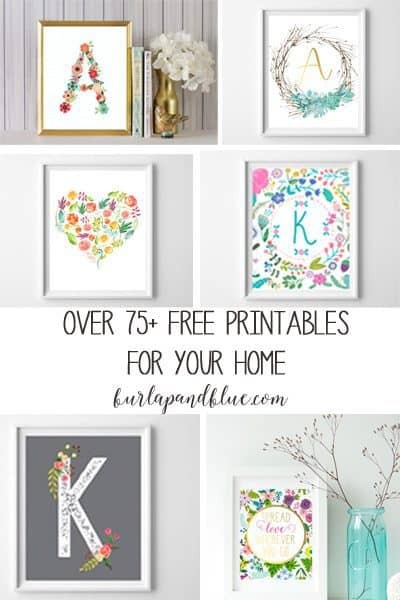 There’s plenty of free printables for your home to fit any style of decor. Looking for other ideas for wall art? If you’re into Fixer Upper, this post shares some Chip and Joanna inspired wall art ideas for you to DIY, and this popular post shares 50 creative DIY wall art tutorials. Thanks for reading all about how to print printables! What did I miss? Leave a comment and I’ll get back to you! Have a fantastic day! 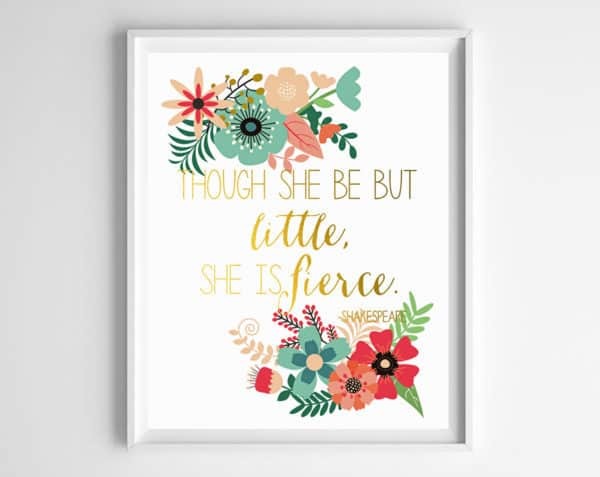 I am retired and trying my hand at finding an interesting hobby involving printable art! I found your site intriguing. I hope to learn more and try my luck using your tips. Thank you! hi! can you tell me where i can get something printed on card stock instead of photo paper? any online sites? thanks! I’ve done it before at Staples. You may want to check them out! i should add that i’m trying to print an extra large print – like 25x30ish.